The older brother of the late drug kingpin Pablo Escobar alleges his campaign to impeach President Trump was shut down by GoFundMe after raising millions of dollars. 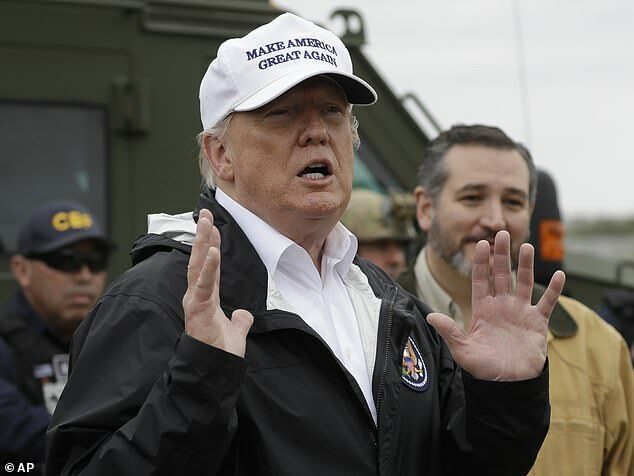 Roberto Escobar’s ByeByeTrump GoFundMe campaign, which claims to have dirt on the President, raised more than $10 million in just 10 hours before the crowdfunding service stopped it to investigate, according to TMZ. TMZ reports that GoFundMe suspended the page on Tuesday asking for more information and that the Escobars did say they responded to the company. The site, however, remains down for the time being. 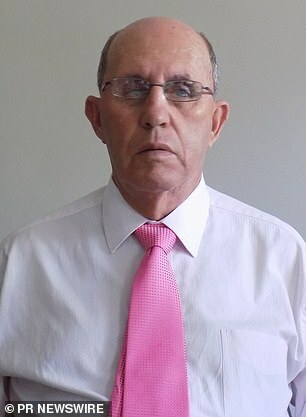 Roberto, nicknamed El Osito, and Escobar Inc., the official holding company for the Escobar family, were looking to raise $50 million to pay for ‘intelligence research, lobby firms and lawyers’ that would lead to Trump’s impeachment. In an earlier story, TMZ reported that El Osito thinks Special Counsel Robert Mueller might be interested in those ‘dirty secrets’ that would somehow tie Trump to the Escobar drug business. Escobar believes it is for this reason that President Trump and the US government was somehow behind the GoFundMe shutdown. 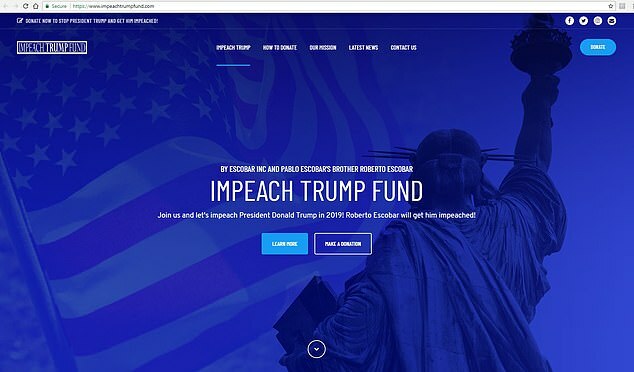 Despite the alleged interference into their plans to raise money to impeach Donald Trump, Escobar Inc. continues to raise money on its Impeach Trump Fund website that includes an option to buy an ESCOBAR token cryptocurrency. 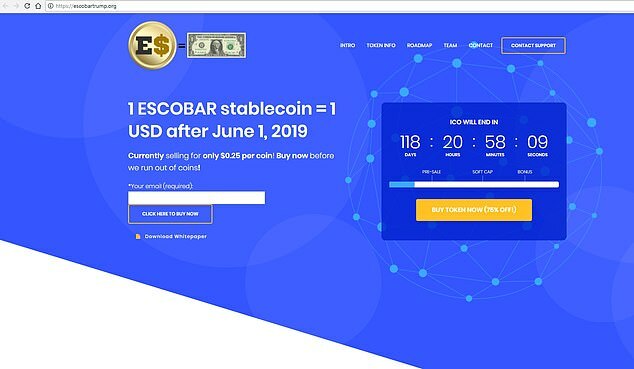 ‘ESCOBAR token is the future of stablecoins, having a big name behind itself and the strong leadership of Roberto De Jesus Escobar Gaviria, older brother of infamous Pablo Escobar,’ the website boasts. 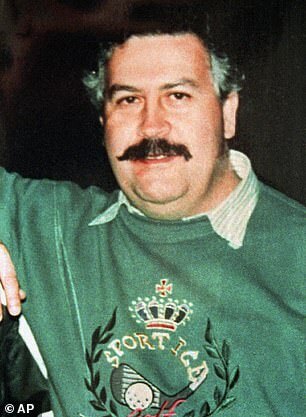 Pablo Escobar, the man constantly being referenced in the campaign, is the subject of multiple books, TV shows and films and was killed during a shootout with Colombian National Police in December of 1993.